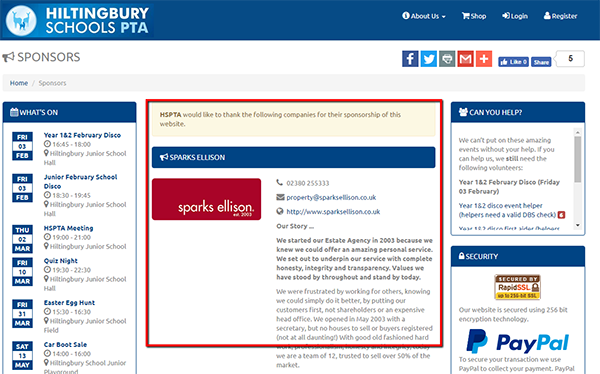 Our premium advertising is designed to give your business maximum exposure to the users of the Heron Way Primary School PTA website. 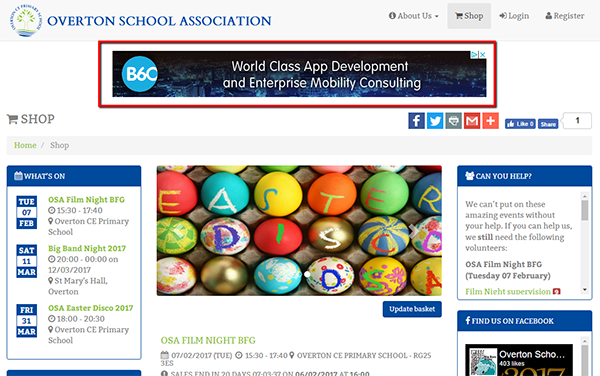 1) Your banner ad or mobile ad (depending on device) will be shown on the top and bottom of each page accessed from the Heron Way Primary School PTA website (These will be randomly chosen and the logos will change every 5 seconds). 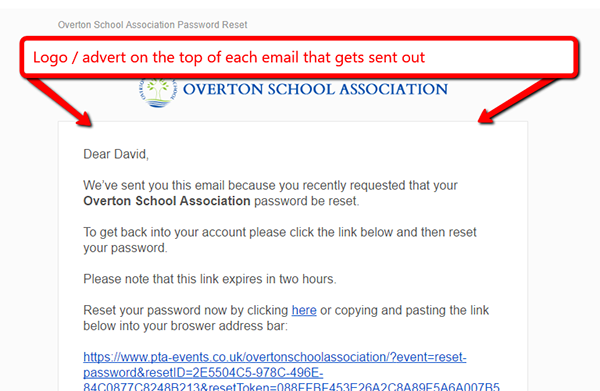 2) Premium adverts are shown on the top and bottom of all emails sent out (These are shown in random order and no preference is given to one particular advert). That’s 685 in the last 12 months. Our secondary advertising is designed to give your business a presence within the Heron Way Primary School PTA community.